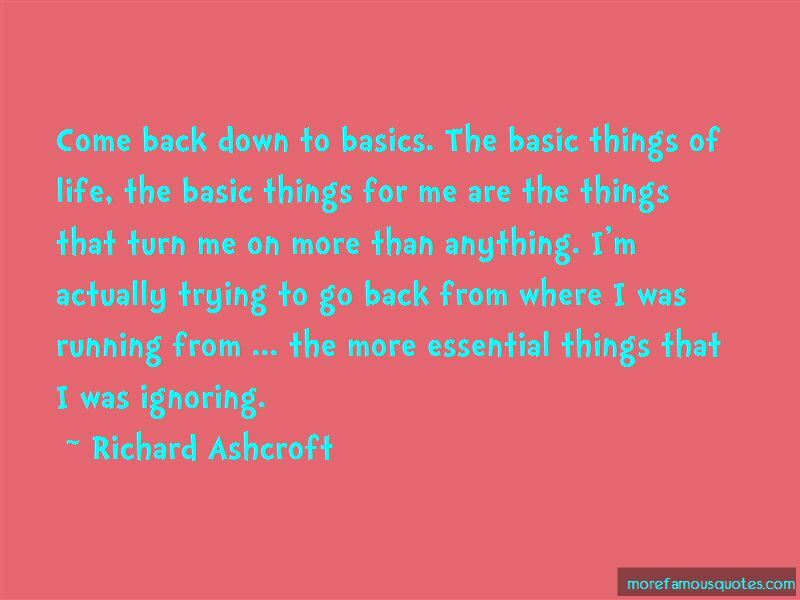 Enjoy the top 10 famous quotes, sayings and quotations by Richard Ashcroft. When you're in doubt about the future and you're in doubt about how solid this thing is that you're laying your life and your soul on the line for, you will probably retract into yourself a little bit and think, No, there's only so much I can give to something that everyone doesn't believe in. There's been chipping away, people have been chipping away at it, so it's just you in the spotlight in front of all these people. I'm one of those people. I can be sold by the candy in life, and then it can be stripped away within a split second and I feel like I've seen too much. And that's the way, I've been like that most of my life, so I could never say I was there yet in any stretch of the imagination. I can't pin myself on any fixed religion, really. I'm just one of those sad, early-century people who just drifts around and picks up a bit of this and a bit of that. I was confirmed a Christian when I was a kid purely because I wanted a piece of jewelry, so I don't know whether this is just another extension of that. I'm intrigued by all that, by religions, I'm intrigued by Jesus Christ. It's all fascinating. 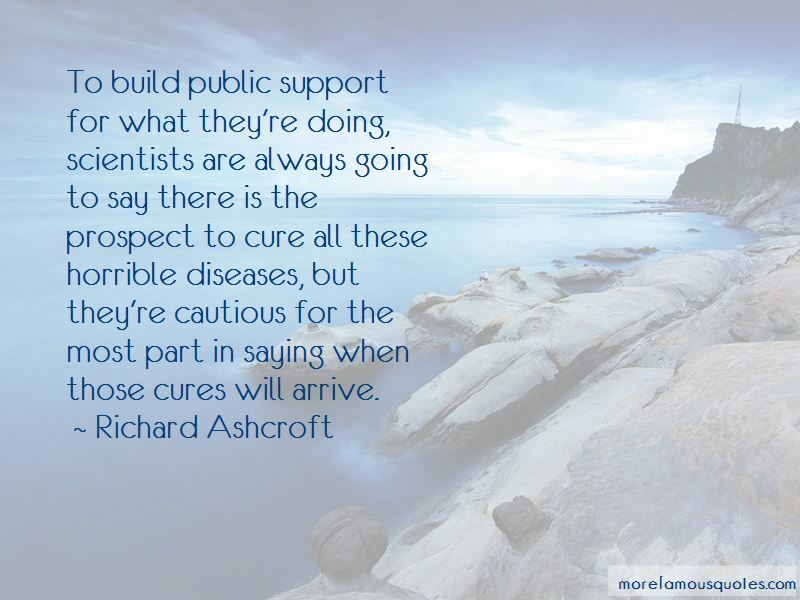 To build public support for what they're doing, scientists are always going to say there is the prospect to cure all these horrible diseases, but they're cautious for the most part in saying when those cures will arrive. 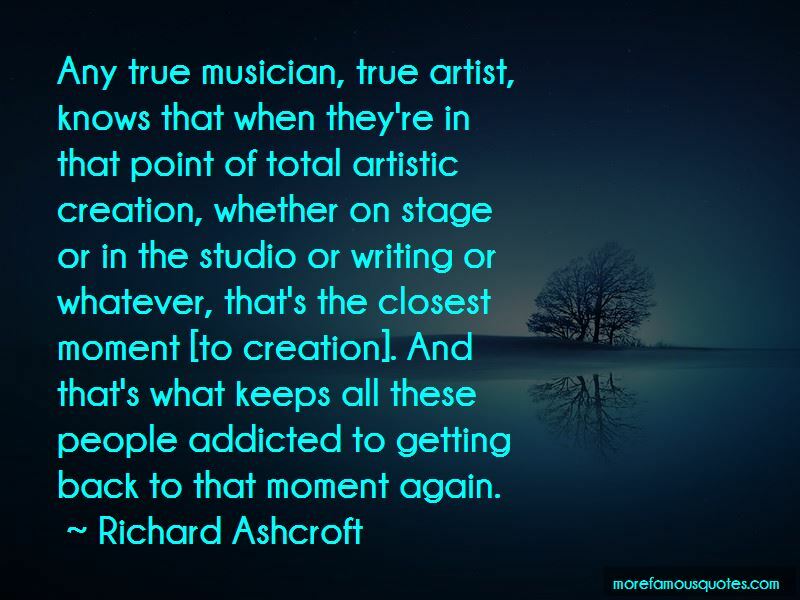 Want to see more pictures of Richard Ashcroft quotes? 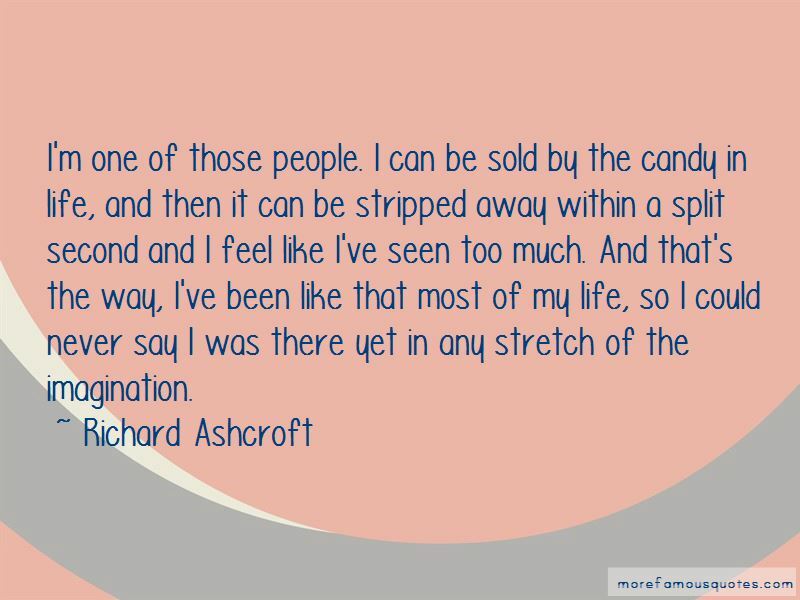 Click on image of Richard Ashcroft quotes to view full size.